Free bass tab for learning Diatonic Modes for bass in the key of C. This is a worksheet focusing on music theory as it applies to the bass. You will learn all 7 modes in the key of C starting with Ionian then Dorian, Phrygian, Lydian, Mixolydian, Aeolian and then Locrian. Learning how to play and hear the difference in the modes is a very important step for the serious bassist. Want the bass tab for free? Just send in your email address using the form provided. Looking for the best online bass lessons? Fill out the Schedule A Free Lesson form to set up your free Skype bass lesson today! 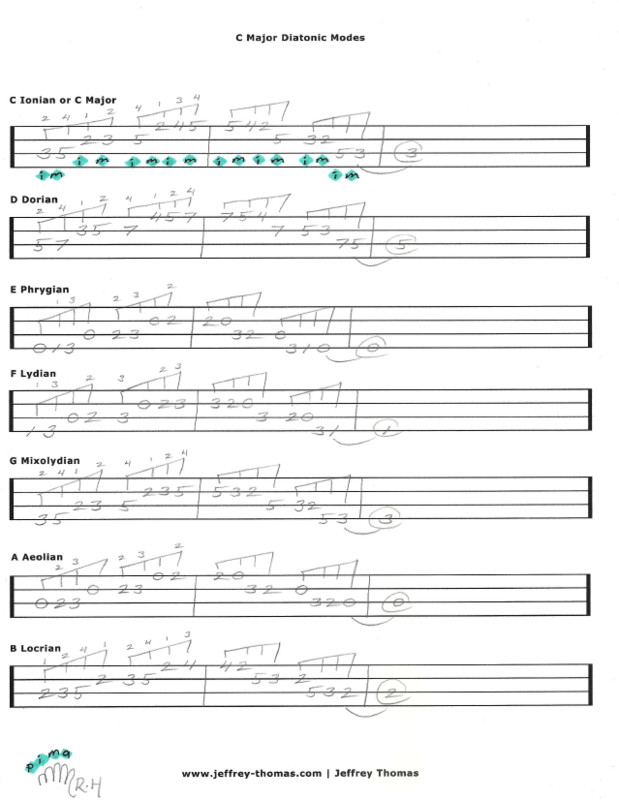 This free bass tab worksheet will help you place all the modes or scales in the key of C Major. Make sure to check out my free bass tab archive for more unique bass lessons, tunes, tips and tricks.